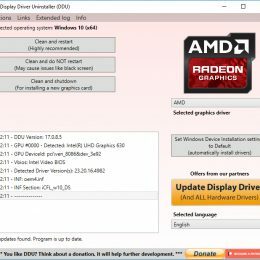 Display Driver Uninstaller (also known as DDU) is a handy tool which allows the possibility of removing NVIDIA, AMD and INTEL Display Drivers completely including folders, files, applications, services and registry keys. Basically your Windows operating system will be as fresh installed system without any installed Video drivers. 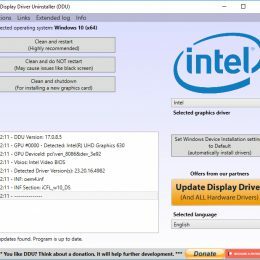 This tool can be very useful in the situations like BSODs (Blue screen of the Death), impossibility to overclock GPU, GPU freeze at load, random reboots and other drivers related problems. 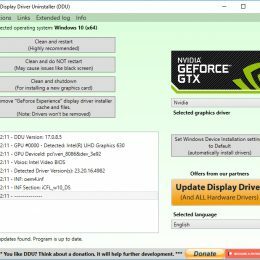 Also this tool allows to disable automatic drivers update from Windows Update service which will prevent unauthorized video driver update. This tool can work on Windows Normal Mode , however it’s recommended to use it in Safe Mode to avoid any related problems. As always, it’s crucial to create System Restore Point before proceed to have a possibility to rollback the changes if some critical system error occurs. bookmark website list and will be checking back soon. Please check out my web site too and tell me what you think.